The UPEI Wind Symphony, under the direction of Dr. Karem J. Simon, will be performing a full recital of contemporary wind band music on Friday, November 24 at 7:30 pm at Park Royal United Church in Charlottetown. 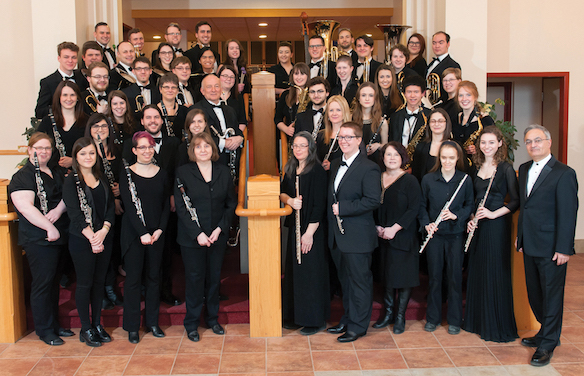 With performances in recent years at local Churches – St. Dunstan’s Basilica and Zion Presbyterian – the Wind Symphony is continuing a tradition of performing beyond campus. The exceptional acoustics of Park Royal will make this performance memorable, and the seating capacity will allow for all Wind Symphony supporters to attend. The center piece of the program is Dutch composer Johan de Meij’s Symphony No. 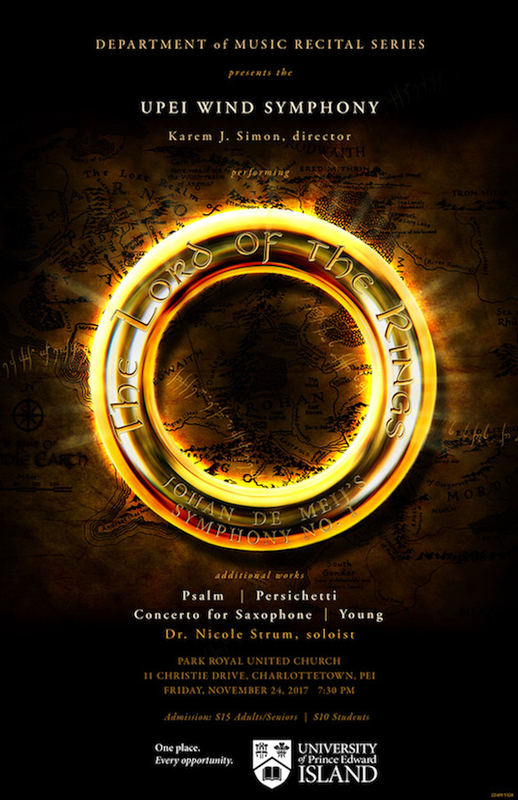 1 “The Lord of the Rings”. It is based on the trilogy of that name by J.R.R. Tolkien. This book has fascinated many millions of readers since its publication in 1955. The symphony consists of five separate movements, each illustrating a personage or an important episode from the book. The movements include GANDALF (The Wizard); LOTHLORIEN (The Elvenwood); GOLLUM (Sméagol); JOURNEY IN THE DARK; and HOBBITS. The symphony was written in the period between March 1984 and December 1987 and has garnered many awards. Soloist for this recital is UPEI’s sessional Saxophone Professor, Dr. Nicole Strum. A recipient of numerous Canada Council for the Arts grants and winner of the 2008 Canadian Federation of University Women Creative Arts Award, Nicole's artistic focus is the interpretation and performance of contemporary repertoire. 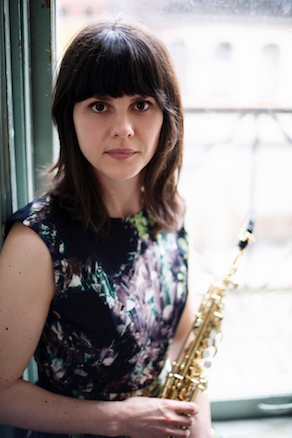 For her performance with the Wind Symphony, Dr. Strum will be playing Charles Rochester Young’s Concerto, a virtuosic work in three movements – fast, slow, fast – that showcases the saxophone’s technical facility, lyrical qualities, and emotional spectrum. Vincent Persichetti’s Psalm for Band will also be featured. It is a contemplative work that utilizes the soloistic and corporate colour of the modern wind band. Persichetti, an American, was known for the highly developed contrapuntal writing of his compositions. Comprised mostly of UPEI music majors, the Wind Symphony has been critically acclaimed for its performance standard and innovative programming. During the past nineteen years the Wind Symphony has produced an annual compact disc featuring selected repertoire from each year’s performances. Cathedrals, released in May 2010 received the 2011 Music PEI Award for Best Classical Recording. In February 2011 the Wind Symphony released its O Canada CD, a project exclusively for PEI public schools. Its most recent compact discs including Freebirds, Lincolnshire Posy, Magnolia Star, and Singularity have been highly acclaimed. Tickets for this performance at $15 Adults and $10 Students may be acquired at the UPEI Music Department and at the admission’s desk the evening of the recital.